Will my mobile phone work on safari? Many of us rely on mobile phones when at home. Mobile phones will work in the majority of safari camps and lodges and on the sections of a safari holiday in Africa’s major cities. Certain countries including Kenya and South Africa offer greater coverage than others, such as the more remote Zambia and Botswana. There’s more to it than that brief answer; so read on for keeping your mobile phone charged while on safari, more detail on costs and coverage, a little history, and some thoughts on mobile phone etiquette on safari. In many camps, even those with tents, there are sockets for charging mobile phones in your tent or room. If there aren’t there will be sockets in the main lounge or dining area. In some remote areas the only way to get your devices charged is to ‘hand in your mobile phone’ for it to be charged in the office. A tip for travel off the beaten track is that if you know you are going to be travelling through land or sea that has no signal, switch to ‘airplane mode’ or ‘flight mode’ to save battery power, as searching for signal is very draining on the phone battery, and also you want to temporarily switch off apps that use lots of satellite data. Some properties will use UK style three pin plugs. Others will have an adaptor you can borrow to charge your phone while you’re staying. However, it is always best to carry at least one worldwide adaptor with you. 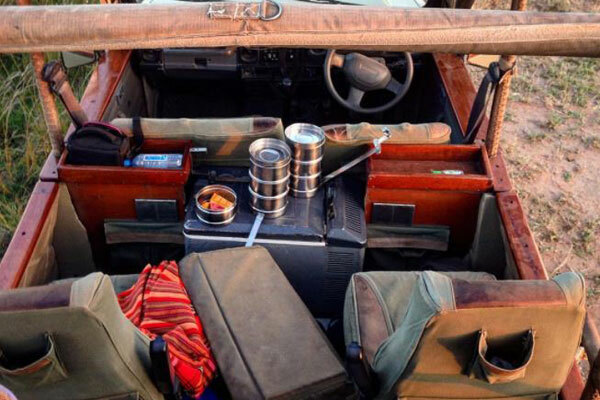 Mobile safaris, where you are staying in one or more simple temporary camps, can be the most problematic for keeping electronic gadgets, including mobile phones, charged. The mobile safari operators know this and most now have power inverters in their safari vehicles which provide plug sockets in the back for people to charge things. While sticking a mobile phone mast on top of the nearest African hill or rocky outcrop might look relatively easy to a layman, it’s not without its difficulties. Masts and their associated hardware need power, and once the signal reaches the main network it’s carried by expensive and logistically challenging cables, or even more costly bandwidth on satellites. Costs for both of these are falling, and some of the big technology companies are involved in Africa trying to increase the mobile coverage. However, providing access to their networks in rural locations is still a financial balancing act for phone companies looking to maximise profit. It is estimated that across the whole of Africa just 43% of the population can get a phone signal of some sort, while for 16% this is fast mobile broadband (4G or similar). Of the safari camps, lodges and hotels we recommend to clients, some 75% can get a mobile signal of sorts; although about a third of those who said ‘yes’ also mentioned the signal could be patchy. The best coverage seems to be in Kenya and South Africa, along with Uganda, Rwanda and Malawi. 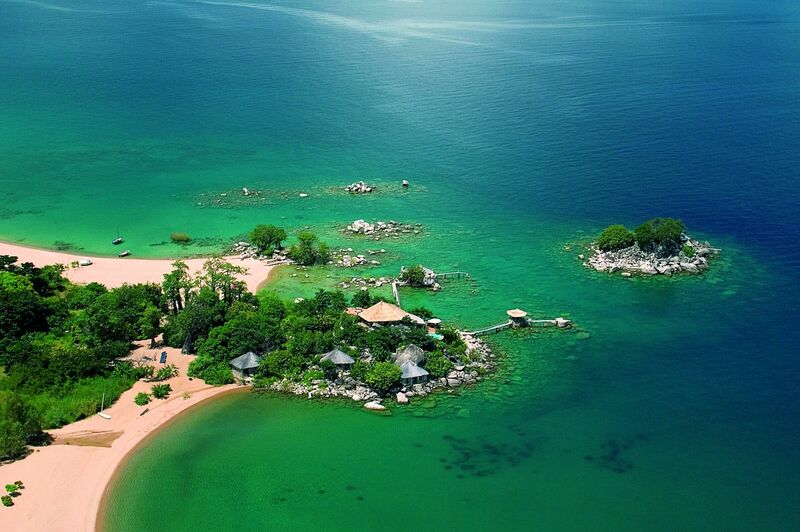 The fewest properties with a mobile phone signal are those in Zambia, Botswana and Namibia. 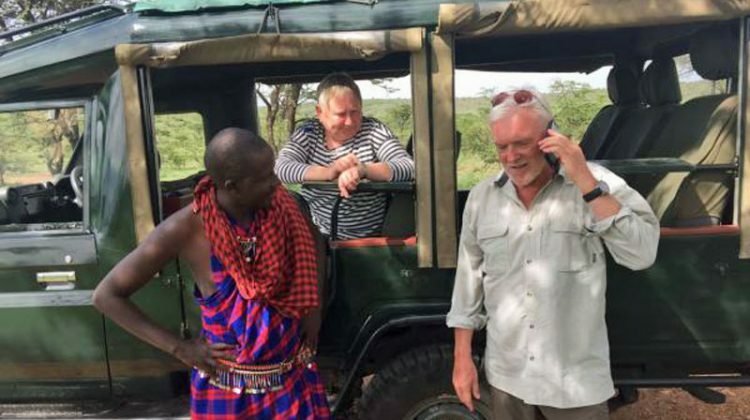 While you may be staying in one of the 75% of safari camps who get a mobile phone signal, it’s worth bearing in mind where you are and what is considered appropriate. Many people on holiday in Africa are there to ‘switch off’ from their busy lives at home. 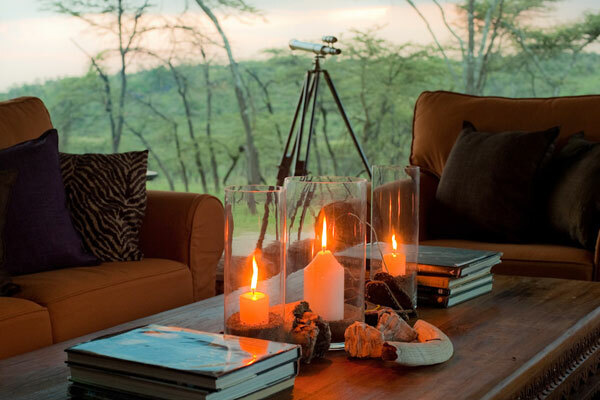 They want to sit in the lounge of a safari camp and enjoy the views or talk to other guests. It is therefore very much frowned upon for guests to turn the public area into their office. Even phone calls home to check up on other family members or pets are likely to be discouraged, with those wishing to use mobile phones asked by the camp hosts to make and receive calls somewhere away from other guests. Discretion is also advised if the camp is tented. Despite luxury safari tents generally being spread out, canvas is better at keeping out the elements than it is in preventing a booming voice from carrying across the African plain. Many of us feel naked without our mobile phones in our pockets. Even on holiday in Africa they’re potentially still going to be there. For some they’re also a useful back up camera, particularly on a walk, where you might not want to lug a heavy DSLR camera. However a ringing mobile phone on a wildlife drive or a walk is going to be very unwelcome. Making a call, texting and updating social media are also likely to be seen as incredibly rude. If you can’t ignore your phone for these sorts of tasks, then better to not take it with you at all on safari activities. It’s not particularly cheap to use a mobile phone on safari. It would be very rare for calls or texts in Africa to be included in any normal call package, and WiFi bandwidth in safari camps is often not sufficient for Skype calls. Data is also a factor in costs, texting and WhatsApp texting is much less data use than sending pictures, video clips and Facetime video calls. Remember you pay the cost of receiving texts, calls, photos and videos when abroad so you may want to speak to your mobile provider to manage incoming calls and set up a UK voicemail greeting that lets people know you are away. You can then listen to your voicemail messages when you are near to better mobile network coverage or back home. 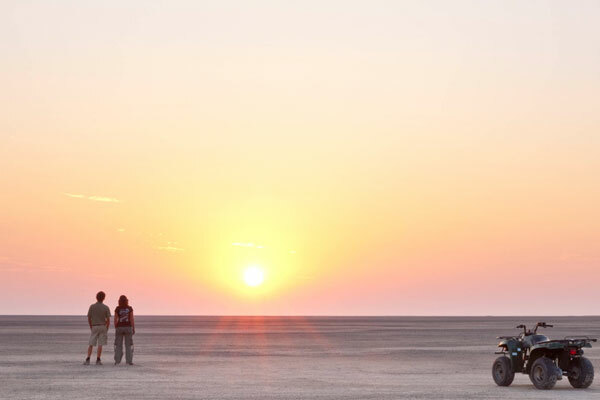 Each camp will have a phone number, whether it is a landline or the guide’s satellite phone for an emergency contact to give to family not travelling with you. Mobile phone company EE currently quote UK customers £1.50 per minute to make and receive calls in most of the safari countries which we recommend, including Kenya and South Africa. They also offer an international roaming contract which includes various amounts of ‘Global Minutes’ for phone calls. 30 minutes cost £6 per month, while 120 minutes cost £20 per month. Switch on your phone, turn off your ‘flight mode’ to receive texts from your new African provider confirming costs. If it doesn’t work switch your phone completely off, wait a minute and on again for the phone connect to the country network. If it doesn’t work still it will be a lot easier to resolve at the airport with business centres, landlines and WiFi. South Africa is the only country to which we arrange holidays where EE allow a payment for mobile phone data use. In the others they simply state it isn’t available to prevent people running up a big bill. In South Africa they currently charge £5 per day for up to 500 MB of mobile data, but unused data doesn’t roll-over to the next day. As an alternative they offer a 12 month 2 GB mobile data ‘package’ for £100. Find out more about EE Travel Data Pass. If you want a ‘belt and braces’ approach to ensuring a signal in Africa, you might opt to rent a mobile phone. There are plenty of companies and competition for your business in the UK, with satellite phones offering global coverage available from about £6 per day. Call costs are similar to mobile phone calls from Africa, at £1.80 per minute for an outgoing call. Pre-bought bundles of minutes, from a minimum of around 30 minutes, reduce this to £1.20 per minute. Unlike a mobile phone, satellite phones must have a “line-of-sight” to the satellites for them to have a signal. They’re therefore for outdoor use with nothing – eg. trees, building, mountains – blocking the view. Africa the ‘mobile first’ continent? An article in The Economist in December 2016 put the figure for mobile phone subscriptions in Africa at close to 1 billion. This is a dramatic increase from the 129 million estimated subscriptions a decade previously in 2006. However, even that lower figure outweighed the number of fixed line telephones by about ten times, showing how the penetration of mobile phones into rural Africa has allowed many people access to long distance communication for the first time. It’s worth noting that subscriptions to mobile phones are not precisely the same as mobile phone users in Africa, as consumers switch SIM cards in and out of phones depending on whom they’re calling. But it is estimated that at least half of all Africans have a mobile phone. 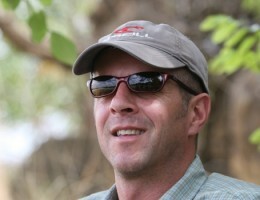 Any questions on using your mobile phone on safari in Africa? 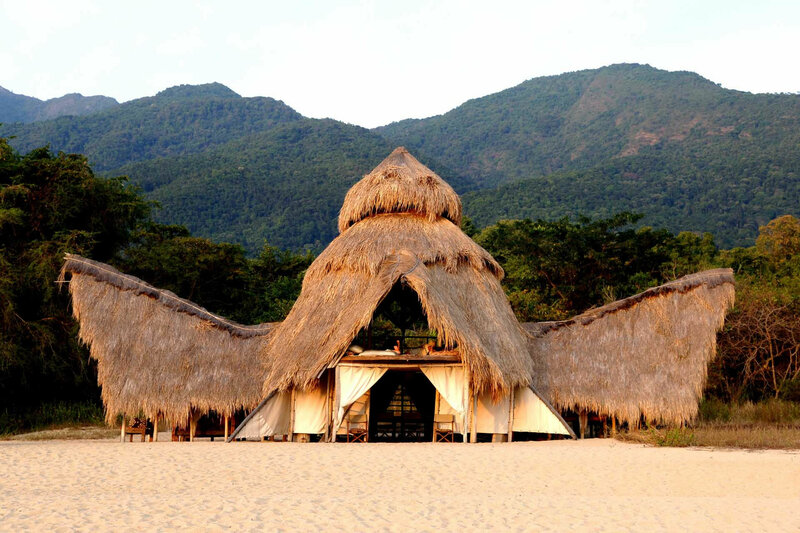 Would you prefer a luxury lodge with a mobile phone signal, or a tented safari camp without? Many safari camps now offer WiFi connections, albeit at much slower speeds than most guests will be used to. I’ve written a separate article on these, together with a poll on where people feel it should be available: WiFi among the wildebeest? Or not? 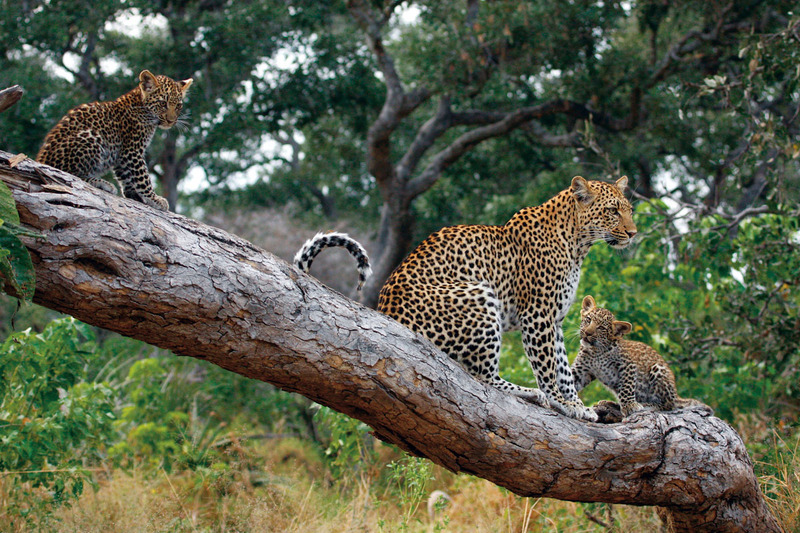 We would be delighted to help you plan a safari holiday – connected or cut off from the outside world. 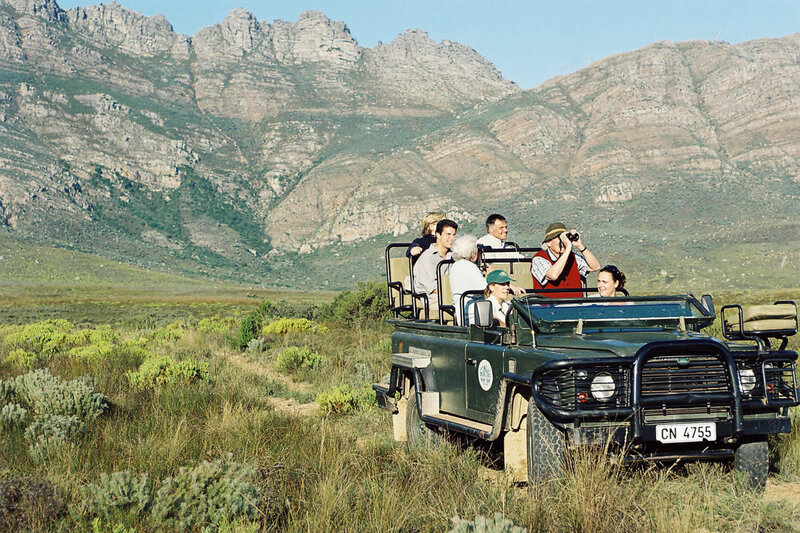 Our team of experts have travelled widely throughout Africa and we keep fact sheets on the mobile phone coverage and wifi connectivity for the safari lodges and camps and beach properties we recommend. If you would like to talk to someone with the knowledge at their fingertips, or a few clicks away, please just send us an email or give us a call. Hi – great article thank you. I am investigating if my CEO will have internet and mobile connection strong enough to successfully conduct either a video conference or facetime call whilst at camp located at Kicheche Mara Camp, Mara Conservation Area. Do you know?? He will be travelling in October.